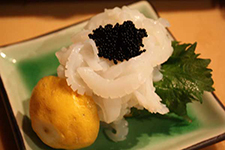 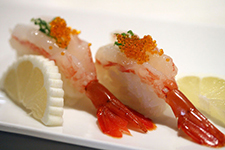 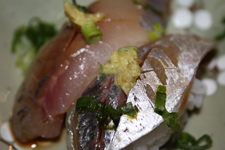 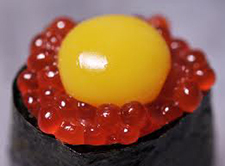 We bring in the freshest, safest fish from all over the globe every day for Hana's customers. 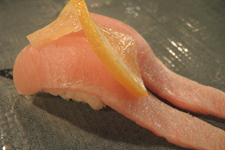 We often tweet pictures when we cut our whole tuna belly- its quite a spectacle. 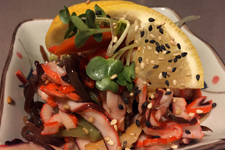 Due to our concerns for freshness and safety, availability of these items changes day to day- but means we may also have specials not seen here. 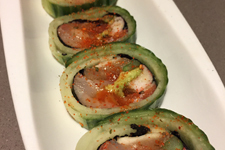 We're proud of our take on these well known sushi rolls- enjoy them as cut rolls (6-8 pieces, great for sharing) or on special request, hand rolls. 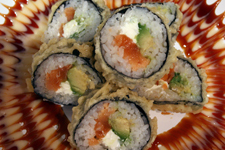 A favorite and great “begin­ners roll”, our Cal­i­for­nia roll fea­tures clas­sic imi­ta­tion crab, avo­ca­do and cucum­ber rolled in sea­soned rice and toast­ed sea­weed. 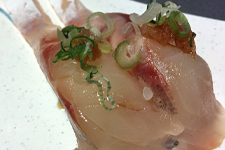 If you’d like to try a dif­fer­ent taste, sub­sti­tute snow crab (upcharge). 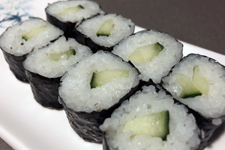 Sim­ple and refresh­ing, crispy cucum­ber rolled in sea­soned rice and toast­ed sea­weed. 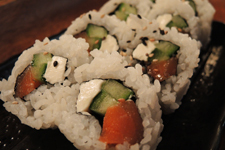 Tra­di­tion­al­ly known as Cucum­ber Maki. 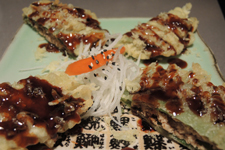 Warm tem­pu­ra bat­tered shrimp rolled with sliced avo­ca­do, crisp cucum­ber and imi­ta­tion crab in sea­soned rice and toast­ed sea­weed. 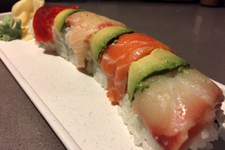 Rolled short into five large pieces. 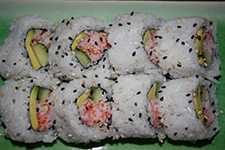 Can be made long (8 pieces) by request. 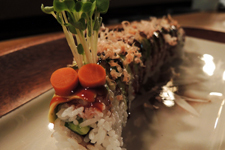 You won't find these rolls anywhere else- our unique take on sushi rolls. 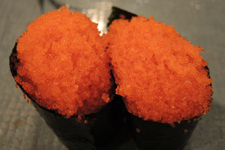 Make sure to try atleast one before you leave! 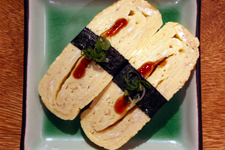 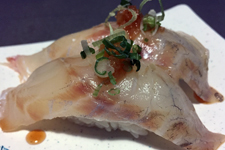 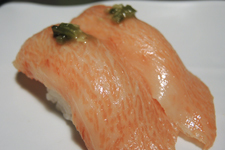 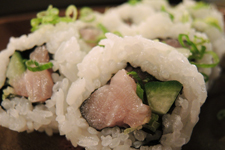 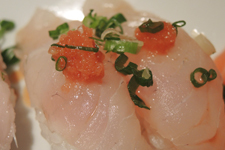 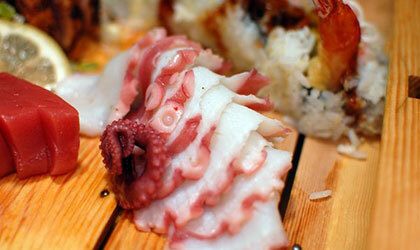 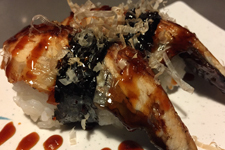 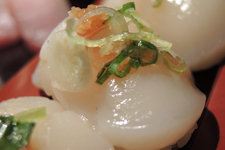 Cal­i­for­nia roll draped with white fish & spicy sauce, then baked to a per­fect fin­ish. 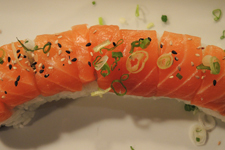 Cal­i­for­nia roll draped with salmon & spicy sauce, then baked to a per­fect fin­ish. 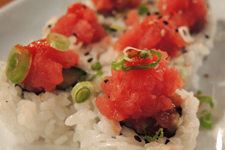 Yel­low­tail, tuna, salmon, imi­ta­tion crab, alba­core, white fish, pick­led bur­dock root, aspara­gus wrapped in cucum­ber, topped with tog­a­rashi, ponzu and sesame oil. 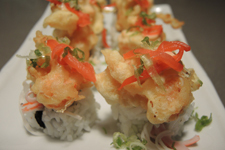 Cal­i­for­nia roll topped with lan­gosti­no tem­pu­ra & spicy mayo. 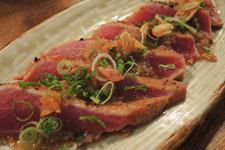 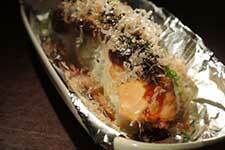 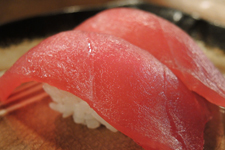 Choice of uni or tuna wrapped in shiso, tem­pu­ra-bat­tered and deep-fried, served with a dip­ping sauce. 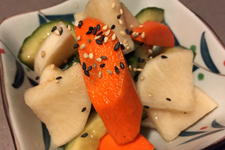 Avo­ca­do, cucum­ber, aspara­gus, pick­led bur­dock root, kampyo and daikon sprouts. 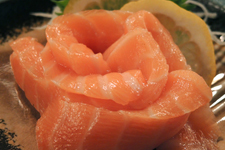 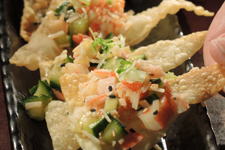 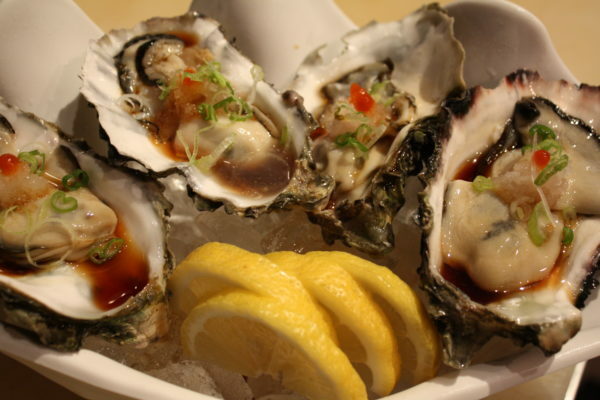 Refresh­ing starter to your sushi expe­ri­ence. 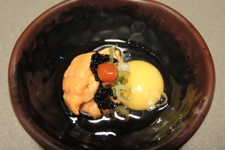 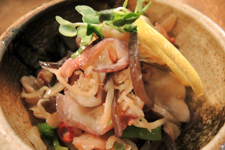 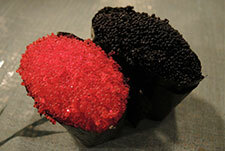 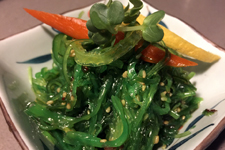 Sea­weed, sesame oil, sesame seed, kikurage mush­room, red pep­per, salt & vine­gar. 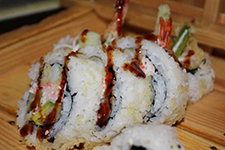 Refresh­ing starter to your sushi expe­ri­ence.